Promotion of self-love is a recent development, mooted by social philosophers, psychologists and counsellors who advocate a positive aspect of self–love, associating it with self-care, self-esteem and mental health. However, self-love seems to be an innate trait. We know it in the cradle and the mirror accentuates it. Have you noticed how happy babies are when they look at their own image? They smile at themselves, wave at their image and feel so elated! This love keeps growing and is nurtured by parents. Self-love emanates from modern homes, from overstatements of individualistic and proud parents and attitudes of society. Most of the parents tell their children: “You are the best! You can do anything.” As children have highly impressionable minds, they start believing what they are told. They grow up with this illusion; they start thinking highly of themselves and refuse to admit they can ever fail or they don’t have the ability to accomplish what is expected from them. In our enthusiasm to raise perfect individuals, we overlook the fact that each child is different. Self-love needs to be balanced with human values of compassion, respect, responsibility and harmony. Many parents keep denying that their child is a bully or behaves arrogantly till his self-love morphs into ego. Some children who are raised by narcissistic or indifferent parents, may grow up with low self-esteem but they pretend to be ‘super’, to suppress their real sentiments. I have seen a lot of children who wear a badge of exalted self, just to show off! If you try to point that out, they feel hurt. It is most difficult to handle their self-esteem when they are passing through adolescence. I am sure you have met such people who say: I dislike him…I want to be happy. I am so successful! I want you to work as I say. Follow my instructions. My peace, my pleasure, my contentment… The key words here are ‘I’ and ‘My’. They underline so much of self- love that YOU and WE are completely lost. When we get immersed in self- love, we fail to see the world as it is. Our focus remains on our own feelings, our own achievements and gloating about them. It is natural that such people get disliked as they are considered to be arrogant, with an exaggerated sense of self-importance. Relationships suffer the most due to self-love, if it exceeds its genuine limits, as your needs and desires become more important than the aspirations and expectations of your family members. When care and respect for one’s own self becomes excessive, when people attempt to exalt themselves or consider themselves superior than their siblings, friends, or colleagues, such a love becomes a curse for their personality. 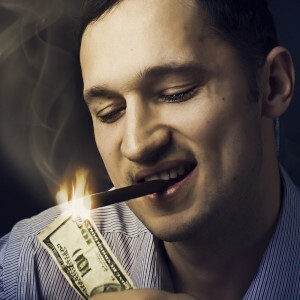 There is no harm in looking inwards, to discover your true self, to recognize what you want to be, to look after your needs and even luxuries but looking down upon others, using them for your own benefits, disregarding their sentiments, hurting or bullying them to prove that you are better than them, smacks of arrogance. Self-love is not just respecting yourself, it is also understanding the thin line that separates self-belief and self-esteem. Self-love is often equated with self-esteem but when it makes you blind to your own faults and gives you an inflated ego, it is time to introspect. Do you think you are the best? Do you consider yourself ‘always right’? Do you try to belittle others? Do you always shift the blame? Do you get provoked by difficult questions? If all your answers to above questions are positive, then your self-love could be detrimental for you. How much you love yourself? What are the parameters that you follow to exhibit your love and authority? You can share your valuable views here. You can read more about personality building here. She lived far in her illusions. Could never live up to her roles. From all those she derides! Forgetting they don’t show even in moonlight. As they only hear what they like. ‘Dummies’, over eager to obey! Who think they are always right. He had stumbled upon a draught! To dance to his tunes. Lives in a fools’ paradise. That Hitler was a loser! 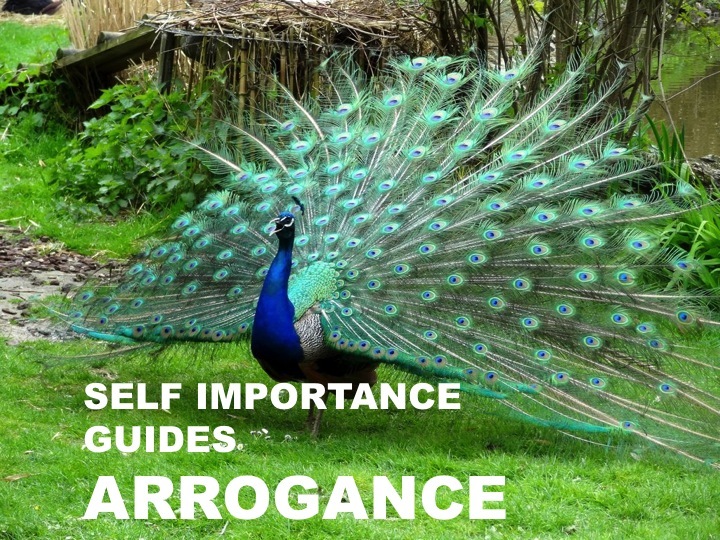 Arrogance is the big brother of ego; she likes him, pampers him and lets him have his own way. The overbearing pride that he carries around him keeps him in his own world of illusion. A random statement of my friend who felt – almost everybody is arrogant shook me and I tried to analyze. Starting with my own personality, I realized how much arrogance I had shed, to change myself. We all possess a certain amount of ego and to put it more mildly, we call it self- esteem. We can’t tolerate even a little bit of shove till we learn to live with the realization that feeling superior is a human trait, a way of the world. “Young people are arrogant because they always associate with their own peers, those who are all really nothing but who would like to be very important.”—Friedrich Nietzsche. You judge people, without actually knowing them. You think you are more talented, more successful. You think you are always right. You like to be your own boss. You like to discuss your own achievements. You are a bad and impatient listener. You find pleasure in domineering. You like to assert your view on others. You look down upon humble and gentle people. If the answer to even half of the above statements is true, you can be considered arrogant. Don’t worry, you can change yourself, if you wish to. It is only when we associate with all kinds of people, when we face the harsh realities of life, when we come to know how big the attitudes can be… that we try to tame down our own ego. We don’t want to be the same kind of persons, we detest! Ego also gets humbled by the experiences of life, by the unforeseen turbulences, by the behavior of your own dear friends and siblings. 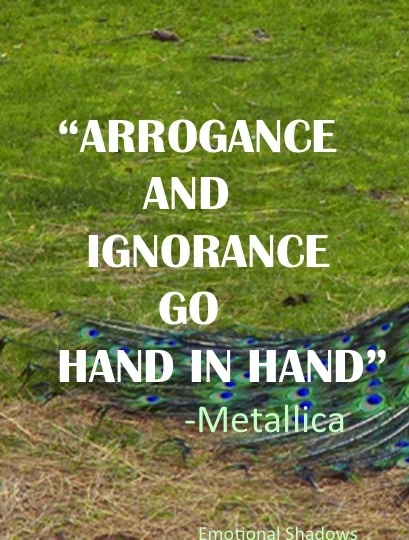 However, some people never try self-analysis, they don’t accept that they are arrogant. They secretly nurse their imperfections and put up a brave front. I got an opportunity of peeping into the hearts of such people who think they possess the best brains and can wield their power and authority to intimidate others. Actually they are very weak at heart, they get easily hurt, they hardly have the forbearance to hear even a difference of opinion. They think bullying can easily scare others and rightly so. Some weak and even mentally strong persons accept subservience due to circumstances or their own compulsions, which reassures the arrogant bullies that they are the bosses and they can accomplish everything through superciliousness. 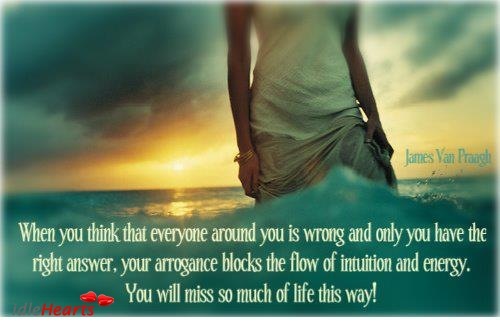 Arrogance of thoughts and feelings greatly hampers the development of emotional quotient. They don’t believe in emotional attachments, as they don’t want to lose control over others…even their own emotional anchors. They refrain from showing their emotions and therefore their love never comes to the surface. Such people pretend to have a lot of friends and even like to surround themselves, all the time with them but they know in their heart of hearts the loneliness, which they face, which they never share with anybody. It is this loneliness, which converts them into bullies. More than hatred, they need our compassion. They get easily provoked and can get very aggressive. Anger is their favorite weapon, which they can use very effectively to frighten their victims. They don’t like to give any opportunity to anybody around them to clarify their position. They pounce upon them and can even get physical. They are very self-centered; their obsession of becoming the best and acquiring everything they want, rules their hearts. They never grow out of adolescent self-love. They are very insecure about their closest relationships and don’t like to give them even the basic freedom of expression. They are so much immersed in self-love that the desires and cravings of the other person seem insignificant to them. Do you think such people can be happy? They appear to be, as they socialize a lot and like to make a lot of friends but soon all of them see through their behavior and their real self stands exposed. Real happiness eludes them as they leave many emotional scars behind and move ahead, without addressing them. 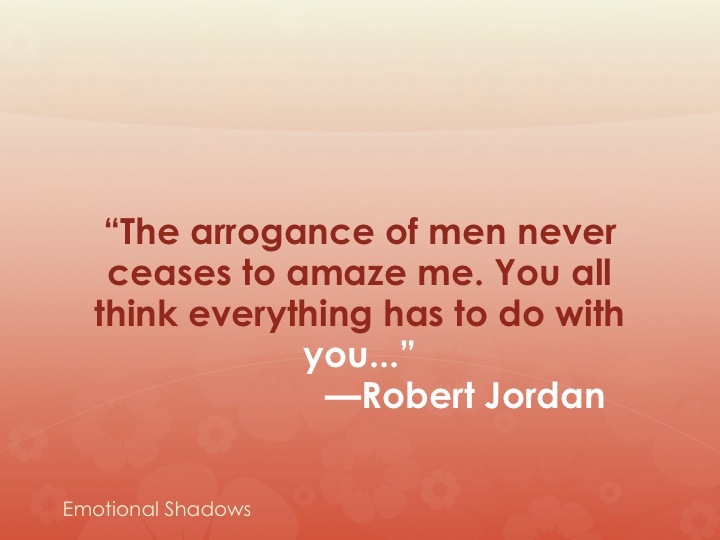 Do you know arrogant people? Do you like them? How do you deal with them? I would love to hear your views. Have you subscribed to my posts? It is absolutely free. You can do so just now by clicking on ‘follow’.